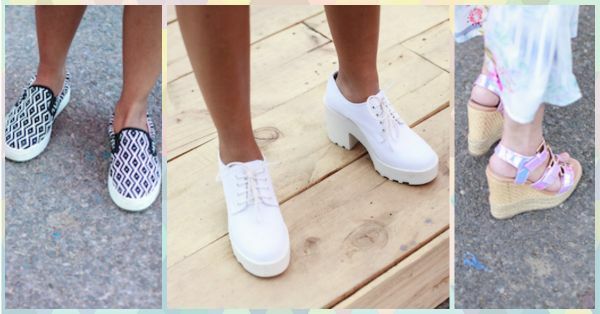 7 Super Stylish Shoes We’re Totally Lusting After! Marilyn Monroe rightly said - “Give a girl the right shoes and she can conquer the world”. Shoes play an important role in making or breaking an ensemble. The right pair can automatically elevate your look even if you are wearing basics. With the Amazon India Fashion Week AW16 #IndiaModern in full bloom, we spotted fashion enthusiasts and influencers stealing hearts with their statement shoes. Here are 7 pairs of shoes that we are lusting for right now! White sneakers have become a fashion favourite with everyone and we can’t take our eyes off of this cute number. Loving the chunky heel that makes the shoe edgy and trendy! A sureshot way to up your style game this season is by simply slipping in to a pair of metallic shoes. Whether they’re sneakers or heels - they are enough to jazz up any dull outfit. Looks like the metallic shoe trend is here to stay! If you are not the one for heels, then try donning colourful ballet flats that are bound to make you stand out. 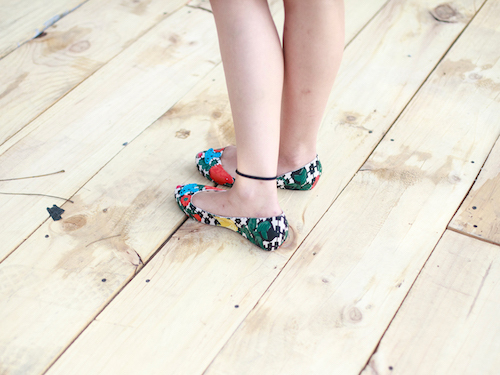 How trendy and adorable are these printed flats we spotted at the AIFW? Love them or hate them, wedged hi-top sneakers always seem to be a fashion favourite. Go that extra mile and take your ensemble to another level by sporting these trendy kicks! The fashion week is all about comfort teamed with impeccable style. 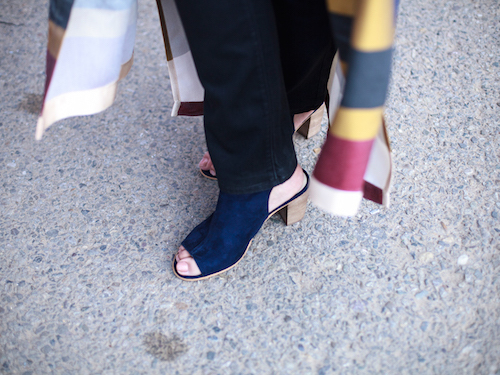 A pair of comfy wedges is every girl’s go-to item. Not only do they work wonders in adding some height but they’re also super comfortable - perfect for a long day out! Loving the delicious pastel hues on this gorgeous number! 6. Black and white is always right! Day 1 at the AIFW was all about the trendiest sneakers and quirky canvas shoes. Makes us wonder if they one-upped the high heels. Either ways, we’re not complaining…who wouldn’t love to be comfortable and a trendsetter at the same time. So much win!